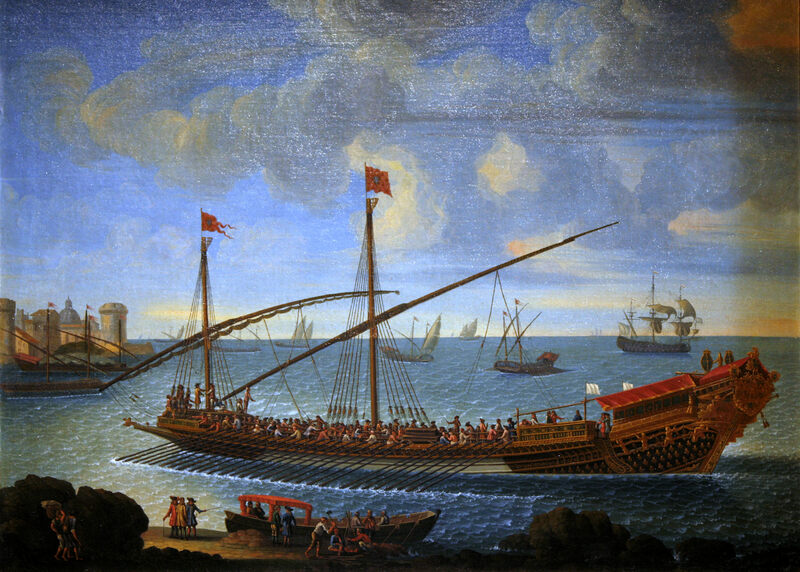 Here is a picture of a galère or galley, as they operated between the 15th and 18th centuries in the French fleet in the Mediterranean. The rowing would have been done by forced labor, often convicts. However, by the time Jean Valjean was sentenced to hard labor, these ships were no longer in use. He would have lived and worked in the port. And here is the promised link to the first chapter of Le Dernier Jour d'un condamné. It is in French, but even if you don't read French, you might enjoy having a look, and comparing it to I,2,viii of Les Misérables, "L'Onde et l'ombre," with the man overboard. The parallels are striking, even visually.